To the corps who traveled across the country to compete at this contest…It’s not our fault. Blame mother nature. In my humble opinion, the Phantom Regiment from Rockford, Illinois delivered the most challenging performance. They incorporated hand crafted wooden props, which elevated the creativity and difficulty to separate their corps from the rest. Like trained acrobats, the color guard fearlessly swung from these moving ladders, while maintaining enough focus to catch their equipment without missing a beat! Their routine had to be the most theatrical as well as entertaining. As far as sheer musicality, melody and tone, the Cadets from Allentown, Pennsylvania and the Carolina Crown from Fort Mill, South Carolina were two of the most impressive of the evening. They both performed with such elegance and poise under such physical demand. How they could make such a challenging routine seem so effortless was beyond me…I was exhausted merely imagining what it would be like in their shoes! Closing out the night was the seven-time DCI World Champions, The Cavaliers from Rosemont, Illinois. The athleticism and perfect synchronization from these young musicians was unmatched. Their corps seemed to be the most seasoned. They showed a true sense of urgency as they sprinted across the field covering the most ground of the evening. Truly flawless in their execution, if they were to have been scored, I am sure they would have clenched another championship. The crowd must have shared my opinion as they pleaded for an encore performance. Each athlete stopped on a dime in a perfectly timed finale, reminding the audience why they are one of the best corps in the world. I can honestly say I have a newfound respect for the activity. To exert that kind of effort and make it so visually and musically beautiful is a true talent. I would also like to comment on the pride I felt to be a part of the Pyware family. 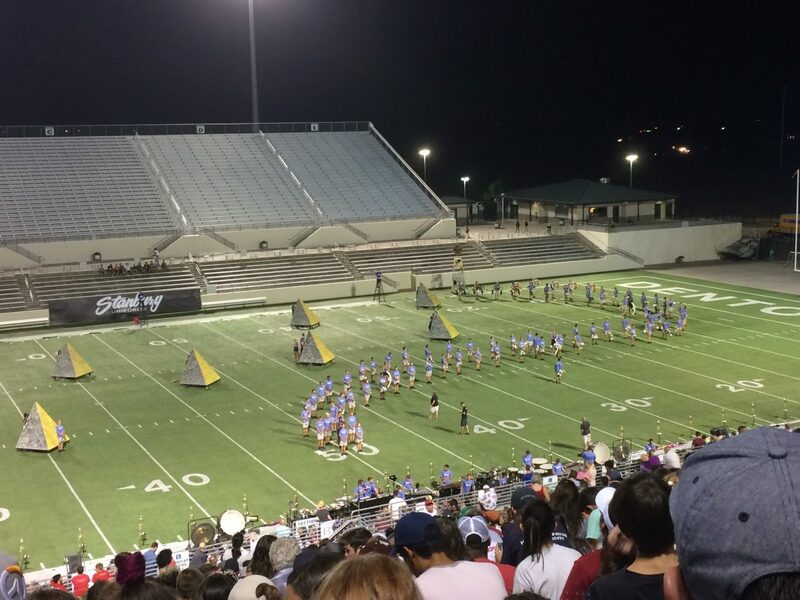 Founder and CEO, Py Kolb, has given our team an opportunity to play a role in the programming and designing of Drum Corps International performances. We could not be more honored. I would like to congratulate the corps that performed, and I will look forward to my next opportunity to witness such an amazing skill!